When it comes to improving your golf game, blasting drives past your playing partners, and lowering your scores, you’ve got a lot of options. To help you out, we’ve compared the best golf improvement products to help you determine which one is for you. First we tested 20 of the most popular golf improvement products. From training aids, to books, to video coaching programs – if it claims to improve your golf game, chances are we tested it. Did you ACTUALLY hit the ball better and crisper with all your clubs, even those hard-to-hit long irons and the driver? Did you have more confidence when faced with a difficult shot such a mid iron to a tight pin on a tricky green? Did you start hitting longer and straighter drives that impressed your entire foursome? Our reviews focus on what matters to you… Will the product actually improve your golf game? Is it easy to use? What is the best value? So without further ado, read on below to discover our top 5 golf training products! 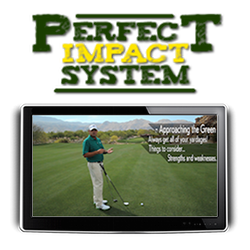 The Perfect Impact System is our #1 choice for golfers of all types. It is our favorite video training program, and the best value of all of your options. Ben Hogan’s classic is your best option for instructional golf books. This classic has been around for years and belongs in any serious golfer’s library. If you are on a budget, this is a great option to get a solid introduction to the game. 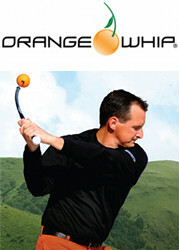 The Orange Whip is a bit pricier than our top 2 choices, but is still an effective tool for learning the full swing. 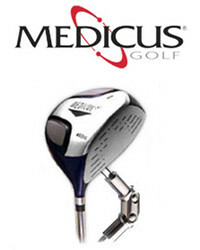 The Medicus Dual-Hinge Driver has been advertised for years and is one of the best selling training aids of all time. The Medicus Dual-Hinge Driver is easy to use and effective at teaching a smooth takeaway and improving tempo. Butch Harmon is a legend of golf instruction and his DVD series is a good way to improve your game. 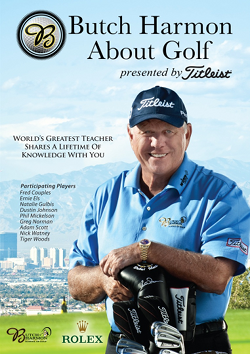 Butch Harmon’s About Golf DVD series is a high quality instructional video set. The videos feature Butch himself, and as you would expect the information is first rate. Golf training products generally fall into 3 categories – books, videos, or physical training aid. Each format has its inherent strengths and weaknesses. Books are generally the least expensive, but obviously can’t demonstrate motion as well as video. Training aids have the ability to interact directly with YOUR swing, but generally they can only address 1 aspect of the swing. Video does a great job showing the motions of the swing and can be comprehensive, but is generally more expensive. There is a wide range of prices for golf training products. While it can be tempting to go for the least expensive option, it’s important to look at the overall value. Some products are very comprehensive while others, although helpful, may leave you buying more products to get the golf game you want. Another thing to consider is the company’s refund policy. The better companies stand behind their products with a full money back guarantee, while others only allow refunds of defective products. Make sure you fully understand the billing and refund policy before making a purchase.